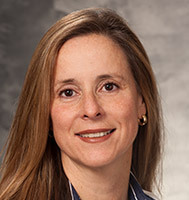 Dr. Maria Fabbrocini practices Anesthesiology with UW Health in Madison, Wisconsin. Dr. Fabbrocini earned her medical degree from the University of Wisconsin School of Medicine and Public Health (formerly UW Medical School), Madison, WI and completed her residency at the University of Wisconsin Hospital and Clinics. Dr. Fabbrocini completed a fellowship in pediatric anesthesiology and pediatric cardiac anesthesiology at Children's Hospital of Philadelphia in Pennsylvania. She is board certified in anesthesiology.